This year Mr. Zhang Meng, chief editor of People's Music Magazine, attended Landskappleiken, the annual National Games for Traditional Music and Dance in Norway. He wrote this article from the Landskappleik, and has kindly given folkemusikk.no permission to republish his piece. Summertime is Norway’s most comfortable season; in particular, the period around midsummer and the summer solstice, when many music festivals of such diversity take place one after the other. People often stay up all through the night, enjoying the gift of natural light and the beauty of music. 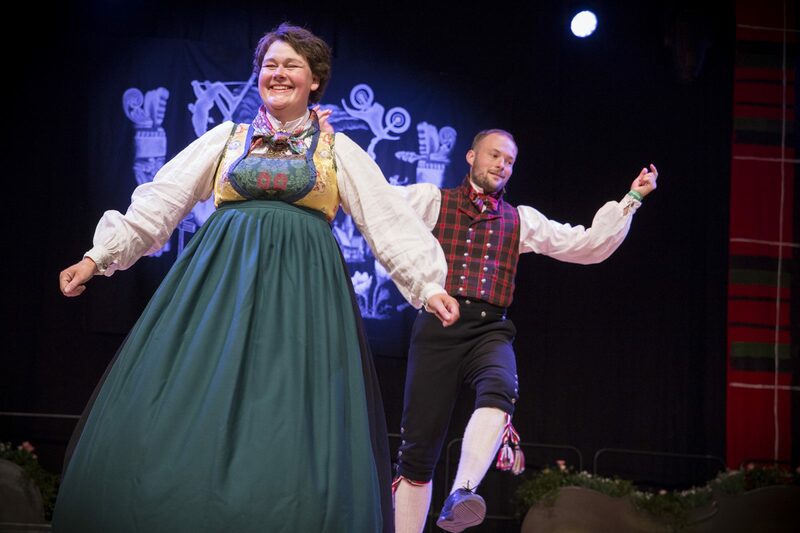 Amid this rich diversity, Landskappleiken, the annual traditional Norwegian folk music and folkdance competition is definitely the most unique happening. 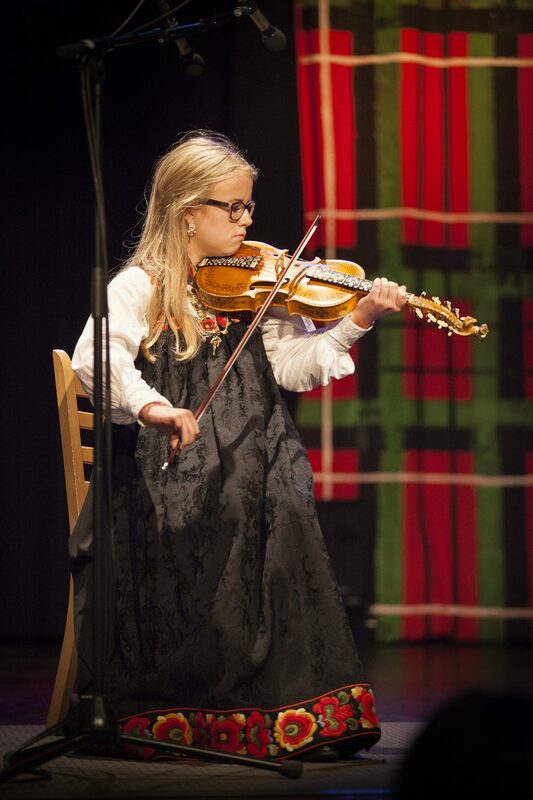 This year’s competition was held June 22–26 in the picturesque small village of Vågå. The village of three thousand or so inhabitants suddenly got an influx of some 7000 spectators to the competition, transforming it into a lively spectacle. Fortunately, the organizers already have a lot of experience with managing this competition; and with the whole village participating, with young and old turning out as volunteers, everything was well organised and well run, in order to meet the needs of the competitions and the basic needs – of food, accommodations etc. – of nearly ten thousand people. To explain why Landskappleiken is Norway’s ‘most unique summer happening’, let us start with the history of these games. The competition was first held in Bergen in May 1896, and so the games have been going on for 120 years. Such profound heritage is a rare find in the world. This year, to commemorate this special moment in history, the Vågå organizers chose the local poet Edvard Storm’s (1749–94) words as a theme for the Games: Høyr sylvstrengjin kå dom læt! – ‘Hear the silver strings, how they sing!’. The local newspaper Fjuken dedicated a column to looking back at the legendary history of the Games. Originally, it read, the competition was only for ‘Hardanger fiddle’, Norway’s most representative instrument, a nine stringed violin; moreover, all the participants were male. Only in 1923 did the regular fiddle/violin join the competition for the first time. In order to make the Games fairer and more reasonable, separate competition items such as traditional violin/fiddle (1954), traditional folk singing (1958) etc. were gradually and permanently incorporated into the Games. 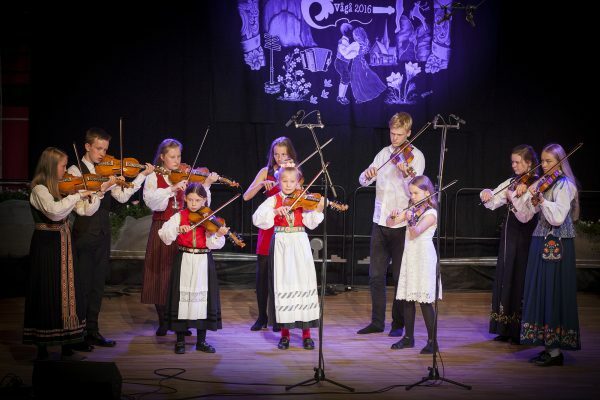 Today Landskappleiken comprises competitions for the Hardanger fiddle, violin, Halling dance, folk singing, team dance, couple dance, ancient folk instruments and other categories – with practically all of Norway’s representative forms of folk music and dance being part of the Games. In 1995 (the year Landskappleiken was first held in Førde), in order to better manage the different levels of the participants, the Games were divided into A-class «elite/master group», B-class «adult group», C-level «youth group», and D-class «older/senior group» – thereby taking into account the high levels of the competition and popular demand for reform. Among the classes, in the A-class are represented the foremost master artists, the leaders in their respective fields; and whenever there is a competition in this class, the audiences are the most numerous – and give the biggest applauses. According to Landskappleiken organizer FolkOrg’s chairman, Mr. Per Øyvind Tveiten, the games have had a steadily increasing impact in the Norwegian public in recent years, and a steadily rising number of participants. This year, the number of registered competitors surpassed one thousand. The active participation of young practitioners and of female competitors show the vitality of this living traditional culture. Moreover, females are now competing in fields where in the past traditionally only men were featured. Females are showing their strength and skills in the Halling dance; one of this year’s highlights was the victory of an all-female team in the team dance competition. For most Chinese this will all be unfamiliar – be it the sound of the melodies, the distinctive rhythm and musical tones of the Hardanger violin, the show of skills and strength and humour of the Halling dance. However, it all makes people feel the honesty and naturalness of Norway’s traditional arts. More people will be realizing that it is this rich and vivid traditional culture that has nurtured musicians from Ole Bull and Edvard Grieg to Secret Garden and Aurora, and countless other world-famous musicians in different fields. 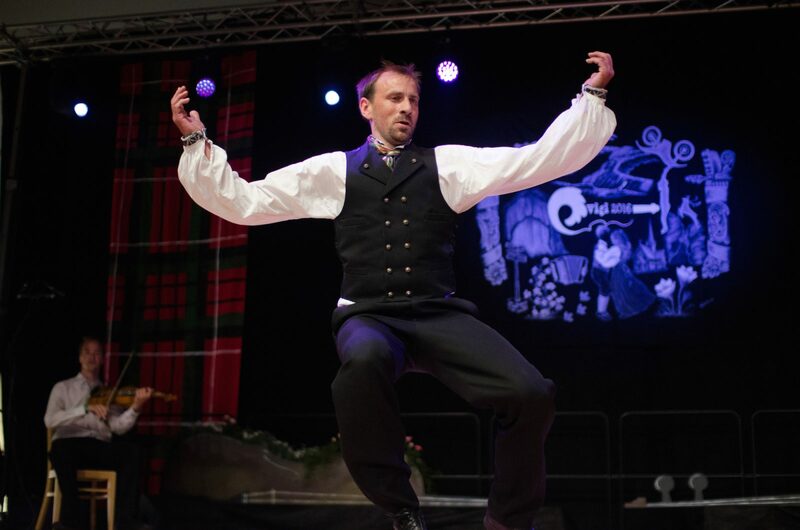 As a comprehensive showcase of, and platform for Norwegian folk music and dance culture, the official English name for Landskappleiken is «the National Games in Traditional Folk Music and Folk Dance». Translating «leik», it does not use the commonly seen term «contest» but instead «games» – highlighting the nature of this activity: fun, amusement/entertainment and communication comes first, competition second. 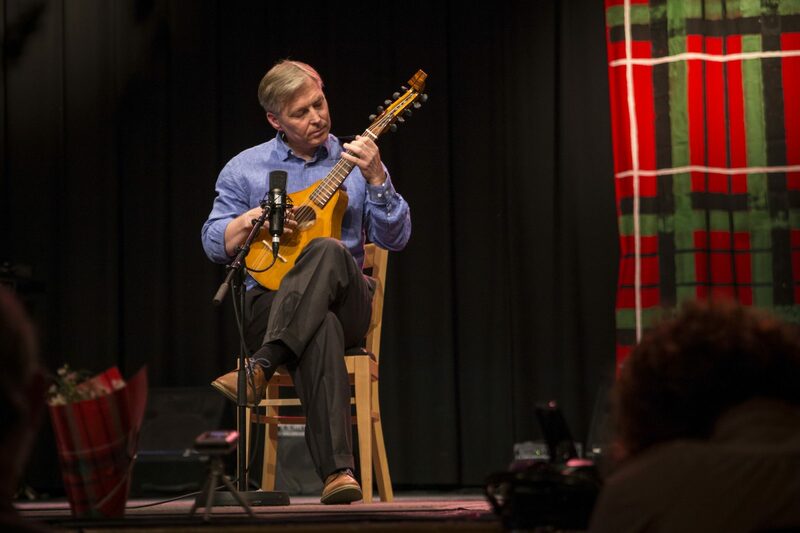 The contestants include both professional musicians, professors and students, all competing on the same stage. The evaluation criteria in the competition are also unique and are, shortly put: «character style first, technique second.» The judges will judge the contestant’s performance style, whether it has a ‘pure flavour’ and is in accordance with the characteristics of the music from the region presented. Points are also awarded according to the contestant’s mastering of technical skills. This method of judging has greatly promoted the protection and continuation of Norway’s traditional folk music’s diversity and heritage. At the games you will see a unique sight: The audience is mainly older and middle-aged, but the contestants are mostly young. 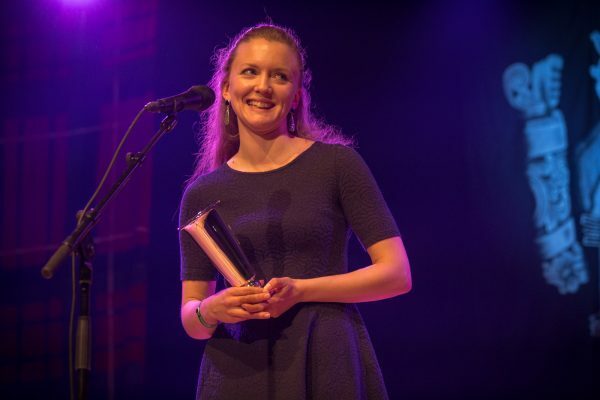 The contestants include both professional musicians, professors and students in folk music from music schools and conservatories, and amateurs and folk music lovers; everyone competes on the same stage highlighting their mastery of the arts. 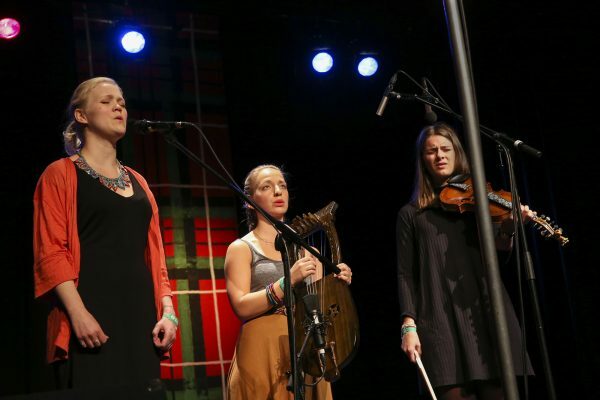 While the frontrunners fully demonstrate the healthy development and continuity of Norway’s traditional music, the runners-up also demonstrate how the «native state» of traditional culture has been preserved. In addition to enjoying the beautiful landscapes, wonderful food and traditional music and dance of Norway, seeing the way Norwegians truly love their traditions, and their mature and conscious sense of protection, is impressive. Particularly impressive is seeing how, in the course of a hundred years, they have explored and worked out a set of effective transmission methods. Firstly, regarding protection of cultural ecology: After more than a hundred years of nurturing and guidance, protecting and passing on the cultural heritage has become the consensus of Norwegian society. The performing contestants, the competition spectators and the volunteers at the Landskappleik constitute a complete and positive cultural ecological chain. So whereas in most parts of the world traditional culture is threatened, in Norway it remains exuberantly vital. Secondly, there is an effective way of inheritance and succession. Norway’s mode of transfer, of passing down traditional music today is still very much using the ‘original’ method: Without the use of sheet music, the teaching depends entirely on the teacher/master’s oral and physical instruction. What we believe to be ‘primitive, backward’ ways of teaching and learning is, in the opinion of Norwegian musicians, the most natural and effective way of preserving and transmitting authentic folk music. Thirdly, there is a strong government support. The government offers funding for a diversity of similar events and festivals like the Landskappleik. Each region of Norway has government-designated competent professionals, directors of arts and culture in charge of coordinating the activities and issues pertaining to traditional culture and heritage. Through means like culture schools, teaching and learning opportunities are offered free of charge to those who are interested in traditional music and culture. Taken together, all this creates Norway’s naturally peaceful and rich cultural environment. But it also provides useful inspiration for the development of our own multicultural ecology. This is an English language translation of a piece written by Mr. Zhang Meng, based in Beijing, China, for the People’s Music Magazine of which he is chief editor. The article has been translated by Ms. Rigmor Johnsen with assistance from Folkemusikk’s editor Mr. Audun Stokke Hole. The translated article is republished here on folkemusikk.no with kind permission from the author and the translator. If you would like to access the original Chinese language article, featured on the homepage of Beijing Daily News’s magazine Music Weekly, please click this link.